Mechelen, Belgium – Due to the high demand of their products, Kemira Chemicals (UK), a producer of advanced chemicals for pulp and paper, water treatment and more, must employ high-capacity, efficient equipment, to ensure optimum output and minimal downtime. Hence, when seeking a solution to screening incoming raw materials, Kemira contacted Russell Finex for a solution. Kemira Chemicals (UK) Ltd., part of the Kemira Oyj chemical industry group, is a producer of advanced chemicals for pulp and paper, water treatment, oil and gas and a wealth of other industrial chemical applications. 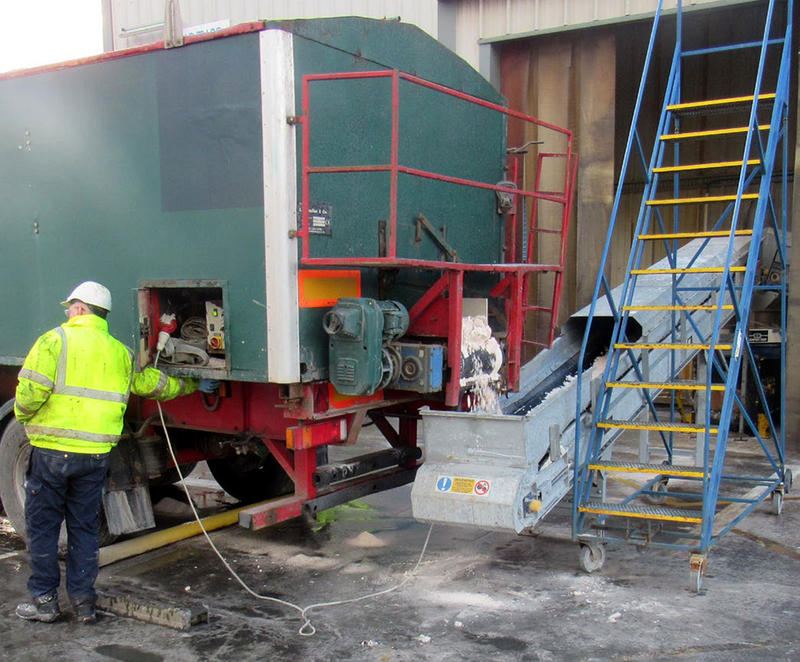 At its production site in Ellesmere Port, UK, Kemira produces a variety of coagulants for the treatment of waste water. The Russell Compact Sieve® installed as part of a conveying line for incoming raw materials at Kemira Chemicals (UK) Ltd. These high-performance chemicals are used in municipal and industrial water treatment processes to remove foreign particles and organic matter. As with all Kemira products, only the highest quality can be accepted, and this is reflected by the raw materials and processing equipment used in production. Also, due to the high demand of these products, Kemira must employ high-capacity, efficient equipment, to ensure optimum output and minimal downtime. Hence, when seeking a solution to screening incoming raw materials, Kemira contacted Russell Finex for a solution. Kemira had previously experienced difficulties with foreign contamination entering its chemical production process. Bulk loads of raw materials such as aluminium hydrate could contain stones, wood and agglomerated material. These loads would be conveyed directly into glass-lined chemical reactors. However, contaminants could cause damage to the interior of these reactors, as well as the agitators and downstream pumps, valves and pipework. 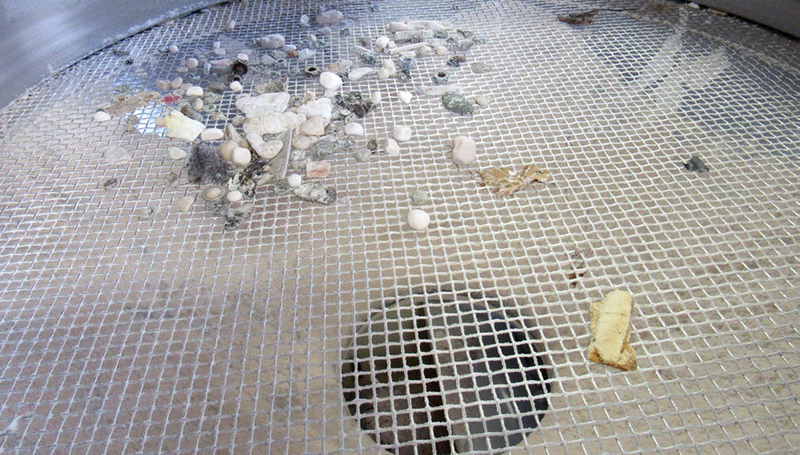 The Russell Compact Sieve® is used to screen up to 48 tonnes of incoming powders a day. 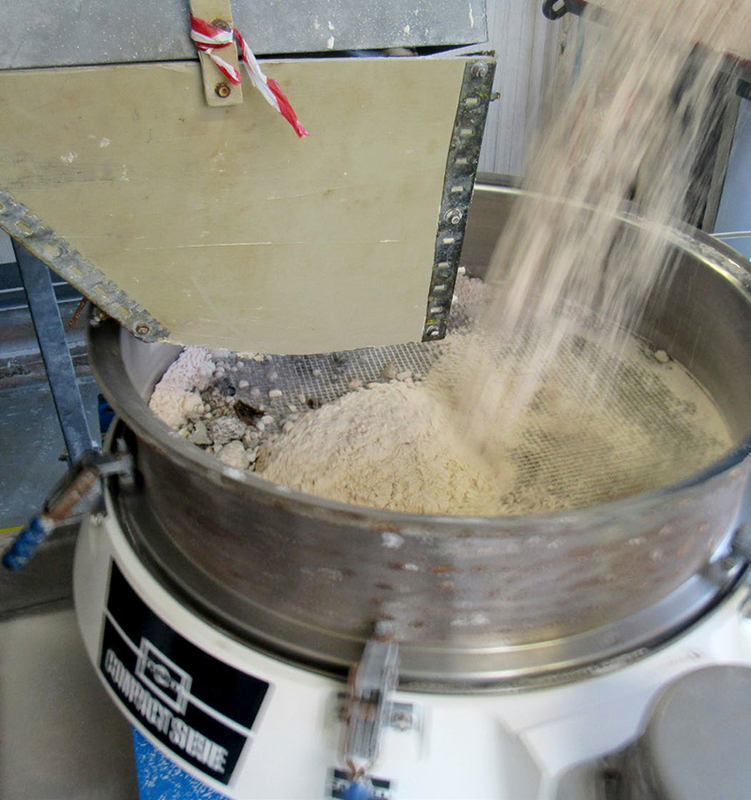 Following consultation with Russell Finex, it was decided a Russell Compact Sieve® would be the ideal solution to removing contamination from the incoming powders. This high-capacity check-screener can be easily installed in existing conveying and loading areas, providing a compact solution to screening incoming materials. The unit was installed as part of the conveyor system from the dry bulk tanker to the reactor and is used to screen up to 48 tonnes of incoming aluminium hydrate per day and protect downstream equipment from foreign contamination. Figure 3. The Russell Compact Sieve® removes contamination from aluminium hydrate powders, protecting chemical processing equipment. The Russell Compact Sieve® range of vibratory sieves is used across a variety of industries to remove oversized contamination and is ideal for high-capacity screening of powders and liquid slurries. These industrial sieves fit neatly into existing production lines, providing considerable screening capacity without requiring excessive headroom. An innovative design means these screeners are less than half the height of a traditional vibratory screener, and a wide range of sizes and configurations means the machine can be tailored to suit the exact needs of chemical, mineral or other applications. Established in 1934, Russell Finex is a global leader in providing industrial sieving and filtration solutions for the processing industry. With a range of check-screeners, vibratory separators and self-cleaning filters, the company can provide solutions for raw material handling, primary and secondary manufacturing processes and final product screening that can be applied to chemical, pharmaceutical, food, metallurgy and coatings applications and a range of other industries.